Welcome to the Makefield Area Branch of AAUW, committed to the AAUW mission of advancing equity for women and girls through advocacy, education, philanthropy and research in Bucks County, PA.
Pat Kolle first learned of AAUW in the second year of its existence, after being introduced by another AAUW member. 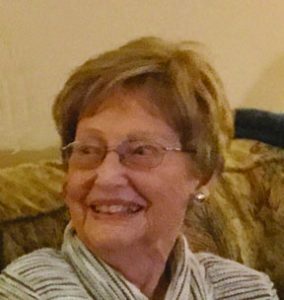 She is very proud of two events that she participated in, many years ago, with a group of other AAUW members, plus members of other local organizations. One was getting the library moved from downtown Yardley to where it is today. The second was the preservation of Five Mile Woods. Builders wanted to purchase the land to build homes. The Makefield Area Branch serves the Yardley-Newtown area and surrounding communities of historic Bucks County, Pennsylvania (map).